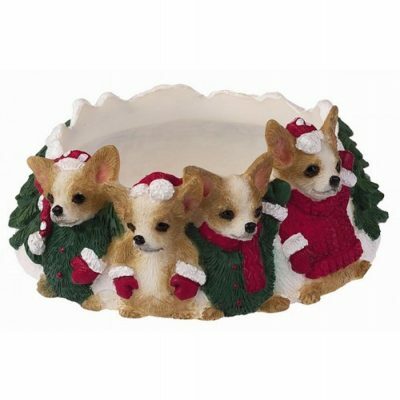 Our newest product line for the holidays is our dog breed candle holders. We absolutely love these, and you will too! Think about all those gifts you have to buy for people who you aren’t really sure what they like. Well, if you are part of the 70% of Americans, chances are you will be buying a candle this holiday season. 7 out of 10 homes in America use candles. Approximately 35% of candle company sales occur during the holidays. That means people are buying an receiving candles! They are buying candles because they make lovely gifts. The only negative to gifting a candle is that it can seem impersonal. Anyone can go out and buy a nice smelling candle, especially when they all smell delicious! Sure, the candle will go to use but at the end of its wick, will the gift recipient even remember who gave them the candle? Probably not. Don’t get us wrong, a candle is a lovely gift, it just isn’t very unique. This is why we love our candle toppers! Our candle toppers allow you to gift a candle while adding a personal touch. 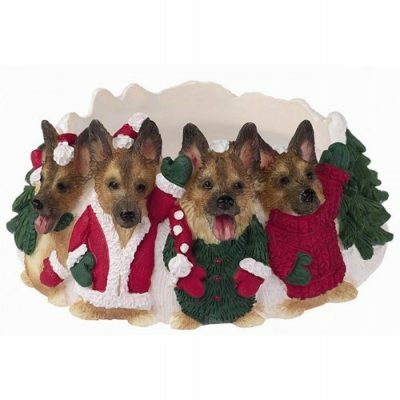 The candle toppers feature your gift recipient’s favorite dog breed all decked out in a Christmas outfit. Surrounded by snow and evergreen trees, the theme of this candle topper shouts Christmas. Priced at just $11.99, these candle toppers leave room in your budget to create a lovely candle gift set. Pair these toppers with your favorite scented candle and you are ready to check someone off your list this holiday season! So if the person you have to buy a gift for is also a German Shepherd lover, for example, then pick them up one of our German Shepherd candle toppers and a yummy smelling candle. Currently, we have 13 different breeds available and if they are great sellers we will be stocking even more breeds. Each candle topper is designed to sit on top of a large jar candle. 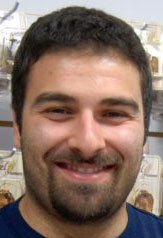 Many people love Yankee Candles, which are best known for their large jar candles. But, many other brands now make affordable large jar candles too. These candle toppers can also be used as decorative rings around the base of smaller candles as well.